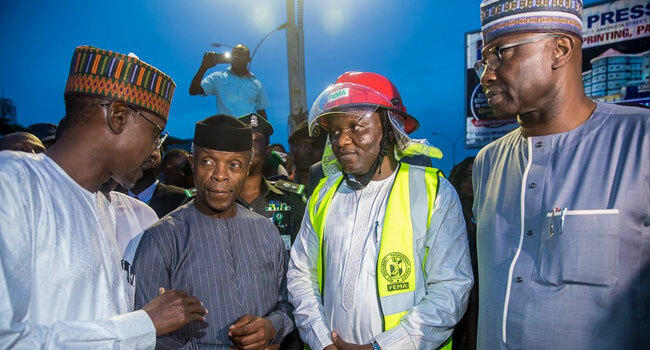 The Acting President, Professor Yemi Osinbajo, has visited the site of a collapsed four-storey building in Jabi, Abuja, which left several trapped. 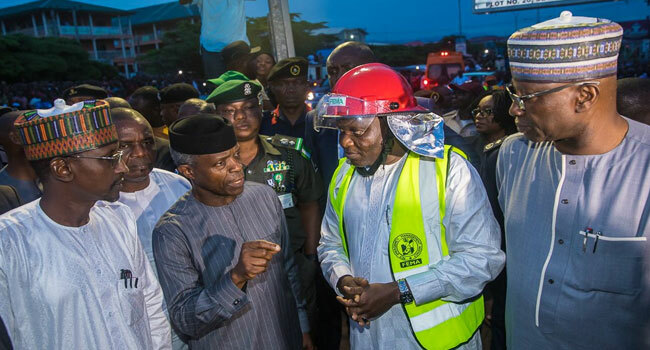 Professor Osinbajo said he is satisfied with rescue efforts and the emergency response to the incident. He also wished those injured in the incident quick recovery. 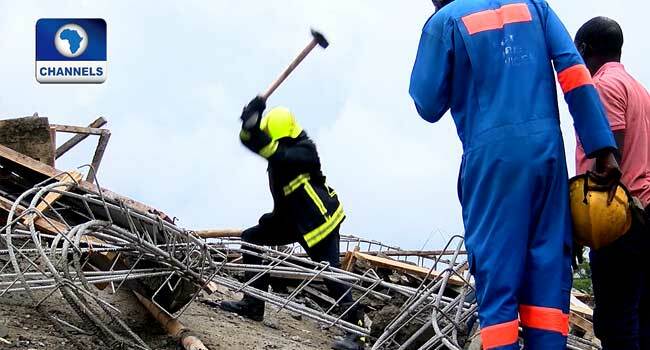 He described the accident as unfortunate and assured that all the relevant public agencies will ensure that rescue operations are effectively carried out. 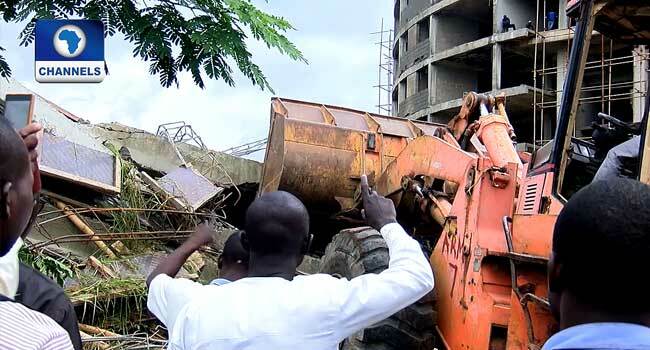 “The collapse of this building is a very unfortunate incident. As you know, it was a building under construction. It appears to have collapsed a few hours ago. “The most important thing at the moment is that we have all of the relief, safety and emergency management agencies all here. NEMA is here, the FCT authorities are here, the Hon. Minister himself is here, the executive government is here. “So, the whole process of ensuring that those who may be trapped under this collapsed building are rescued is well underway. All of the emergency equipment, help movers and the equipment that are required, are here,” the acting President said. 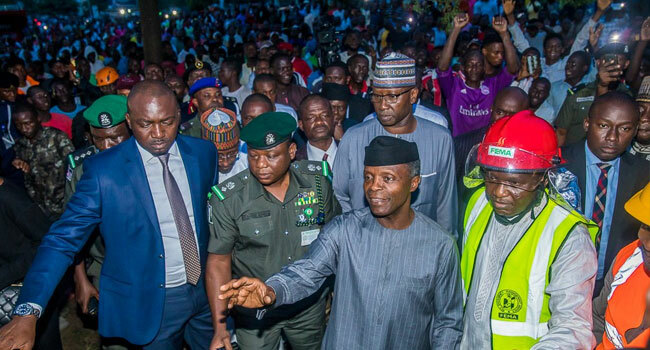 Osinbajo after the visit commiserated with relatives of those who may have died and those injured. He also hoped that who may still be trapped under the building would be rescued. 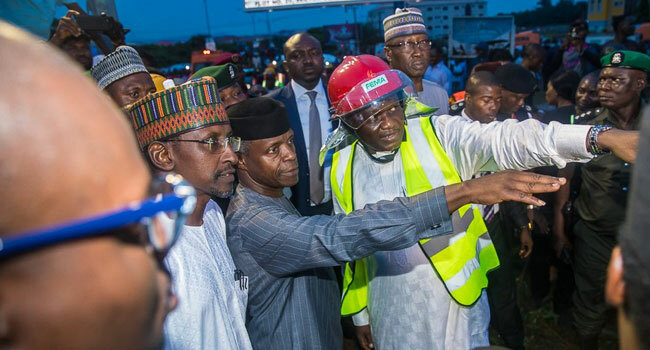 The Acting President was accompanied to the site by the FCT Minister, Malam Muhammad Bello, and the Secretary to the Government of the Federation, Mr Boss Mustapha. To all of the people who were injured, we wish you speedy recovery. 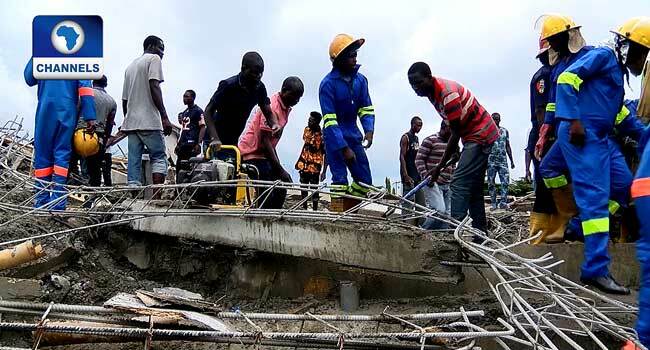 Several people were feared trapped when the building which was under construction collapsed on Friday afternoon. Emergency officials arrived at the scene shortly afterwards and began an operation to rescue the trapped victims. There are no official figures yet on the number of deceased. 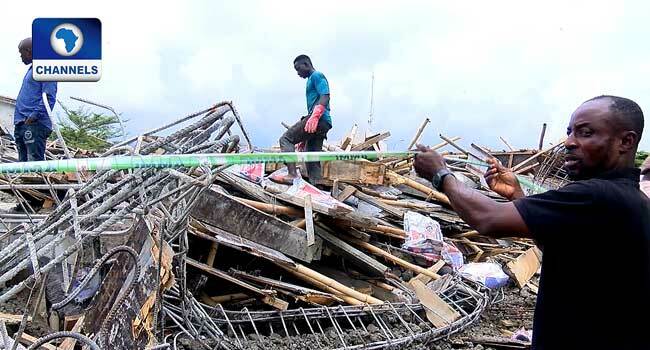 However, one of the rescue officials told Channels Television that five people had been rescued and one death recorded. Rescue efforts are still ongoing.